Dr. Damien King an expert in Debt Management and Economic modeling is in news; Head of Department of Economics at the Mona campus of the University of the West Indies, has apologized to people ~ nothing on Economics but on Sports. ! Jamaica, is an island country situated in the Caribbean Sea. Previously inhabited by the indigenous Arawak and Taíno peoples, the island came under Spanish rule following the arrival of Christopher Columbus in 1494. Many of the indigenous people died of disease, and the Spanish transplanted African slaves to Jamaica as labourers. This island reminded under possession of Spain until 1655, when England (later Great Britain) conquered it and renamed it Jamaica. Under British colonial rule Jamaica became a leading sugar exporter, with its plantation economy highly dependent on slaves forcibly transported from Africa. Jamaica, now is a Commonwealth realm, with Queen Elizabeth II as its monarch and head of state. Her appointed representative in the country is the Governor-General of Jamaica, an office held by Sir Patrick Allen since 2009. Andrew Holness has served as the head of government and Prime Minister of Jamaica from March 2016. Bobsleigh or bobsled is a winter sport in which teams of two or four teammates make timed runs down narrow, twisting, banked, iced tracks in a gravity-powered sled. The timed runs are combined to calculate the final score. International bobsleigh competitions are governed by the International Bobsleigh and Skeleton Federation, also known as FIBT from the French Fédération Internationale de Bobsleigh et de Tobogganing. The news is famed in Jamaica, the economist Dr Dr Damien King has apolovised for his comments made describing the island’s efforts to participate in the Winter Olympics as ‘ridiculous and tokenism’. 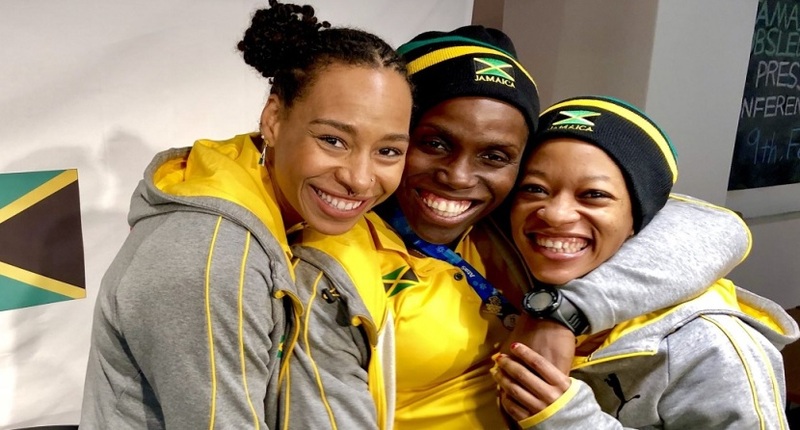 King reportedly had uttered in Twitter that bobsledding does not emerge from local capacity, activity or behavior and so does not represent Jamaica… .. .. his comments drew widespread criticism ahead of Jamaican women Bobsled team’s historic appearance in Winter Olympics in South Korea. The Sports administrator of Jamaica and many others rebutted the economist stating that Jamaica’s participation in Olympics signaled – ‘ we are not limited by geography, weather or race to participate in any sport, educational avenue or career path’. A day before the Opening ceremony, King took to twitter to withdraw his earlier comments and apologise ! Interestingly, Jamaican women bobsled team’s appearance in Winter Olympics comes 30 years after men team’s first appearance – spawning in the classical film ‘cool runnings’. Jamaica has produced some of the world's most famous cricketers, including George Headley, Courtney Walsh, and Michael Holding. The country was one of the venues of 2007 Cricket World Cup - Chris Gayle too is a Jamaican. Since independence Jamaica has consistently produced world class athletes in track and field. Olympic and World Champion Usain Bolt, world record holder in the 100m for men at 9.58s, and 200m for men at 19.19s hails from Jamaica. Other noteworthy Jamaican sprinters include Arthur Wint, the first Jamaican Olympic gold medalist; Donald Quarrie, Elaine Thompson double Olympic champion from Rio 2016 in the 100m and 200m, Olympic Champion and former 200m world record holder; Merlene Ottey; Delloreen Ennis-London; Shelly-Ann Fraser-Pryce, the former World and two time Olympic 100m Champion; Veronica Campbell-Brown; Sherone Simpson; Yohan Blake; Asafa Powell – all hail from the sporting Jamaica.